Victor Moses and his Chelsea teammates are still on course to win some sort of silverware this season after they booked a ticket to Wembley in the Emirates FA Cup semi final on Sunday with a 2-1 extra time victory over Leicester City. 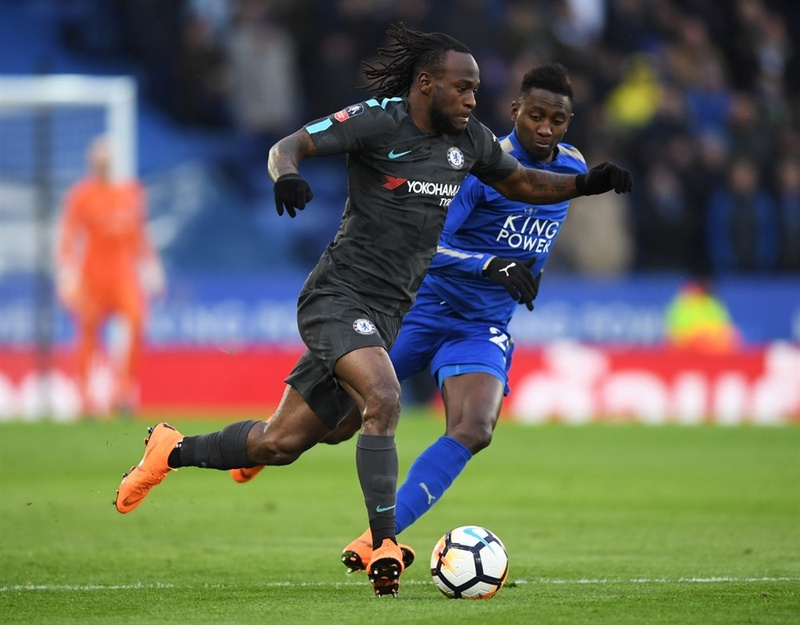 Moses was up against his Super Eagles teammates, Wilfred Ndidi and Kelechi Iheanacho who were hoping to make the FA Cup semis for the first time for Leicester City after over three decades. However, it was Pedro who came off the Chelsea bench to score the winner that put the Blues into the semi-final of the FA Cup against Southampton with an extra time header. Alvaro Morata had put Chelsea ahead but the Blues let slip the lead to Jamie Vardy. Pedro, one of the smallest men on the pitch out jumped Harry Maguire and met N’Golo Kante’s clever pass to deftly clip a sideways header beyond a late arriving Kasper Schmeichel from six yards out. Chelsea, who exited the Champions League in midweek to Barcelona has only the FA Cup to play for and they expected to throw in all in their semi final clash against Southampton next month. Manchester United will be up against Tottenham Hotspur in the other semifinal contest.